I am a big fan of the burrito – I think it offers an incredibly versatile way to combine the common ingredients I usually have in my fridge into a quick and easy meal. 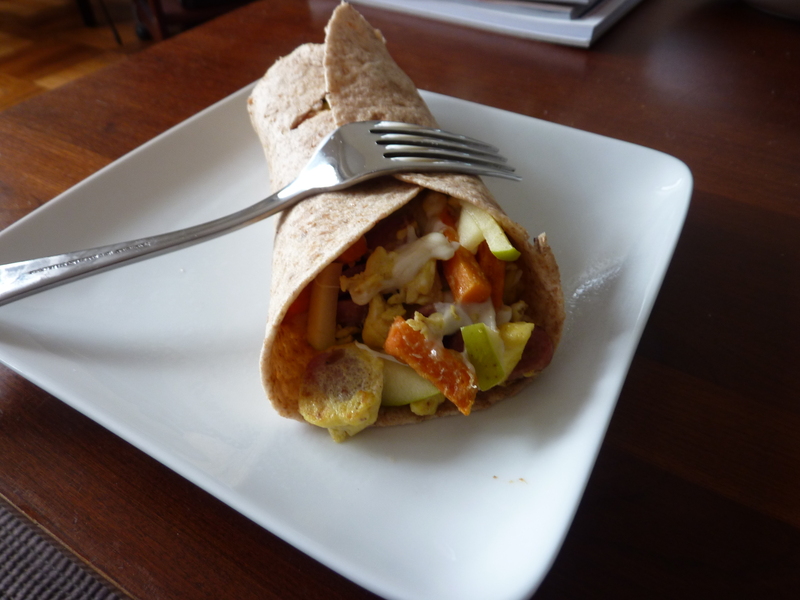 Beyond the tortilla, I love a good breakfast burrito – again, my love of all things eggs, combined with the simplicity of the burrito! Like many things in the kitchen, when it comes to burritos, creativity is king. 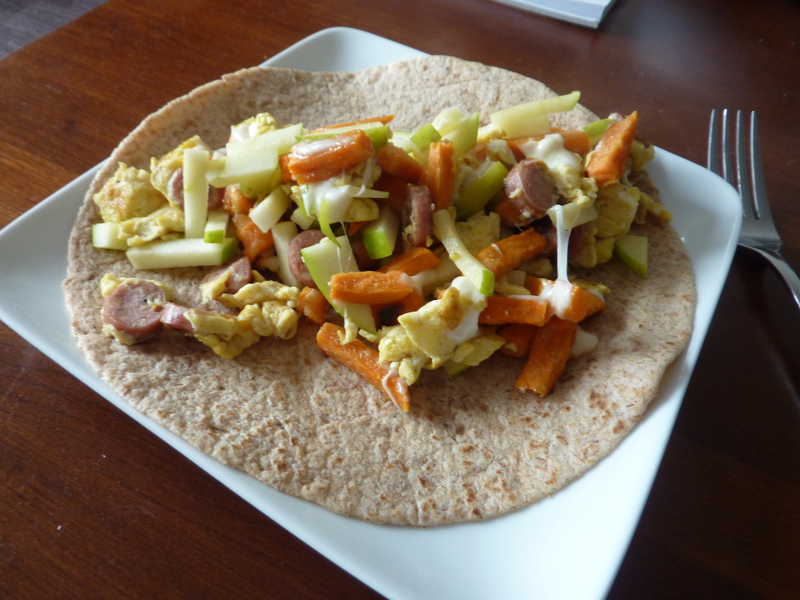 This entry was posted in Culinary Adventures and tagged Breakfast Burrito, Brunch, Burrito, chicken sausage, easy, Eggs, recipe, Sweet Potato. Bookmark the permalink.